What could your company do with more time and money? 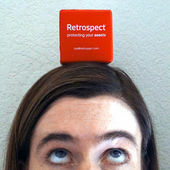 Try the newest version of Retrospect and find out! With Retrospect 8 for Windows and Retrospect 10 for Mac, users are experiencing the biggest improvement to Retrospect’s overall backup and restore performance in the past decade. Retrospect’s new Instant Scan technology drastically reduces the amount of time spent preparing for each backup, which ultimately translates to greater protection and reduced costs. 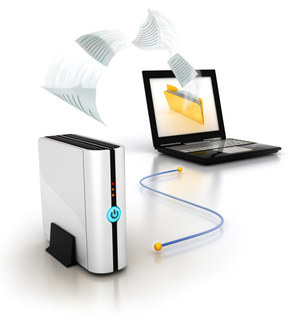 For example, on a small, mixed platform network of 20 computers containing a moderate number of files, Instant Scan can cut several hours from nightly backups. back up more computers with the same Retrospect server. 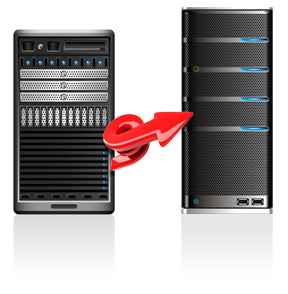 Of course, your backups could also just take less time, giving you more room for future growth. Regardless of how you use the time savings, this benefit has immediately tangible results. Retrospect 8 for Windows introduces an add-on that provides a new level of restore flexibility: The Dissimilar Hardware Restore add-on makes it almost trivial to perform a complete bare-metal restore or disaster recovery to a completely different computer. Now, when a Windows server or PC fails, Retrospect can boot the replacement computer—whether it’s a newer model of the same design or even from a completely different manufacturer—and perform a complete restore, including the operating system, apps, registry entries, and so on. At the end of the process, the Dissimilar Hardware Restore add-on adjusts the drivers to account for differences in the hardware automatically. Without this technology, performing this kind of restore is challenging, and it often ends up being a time-consuming process involving the migration of user data and reinstalling applications. Now it can be quick and painless, and everything gets restored. Kristin Goedert is Director of Marketing and has been with Retrospect for more than a decade.